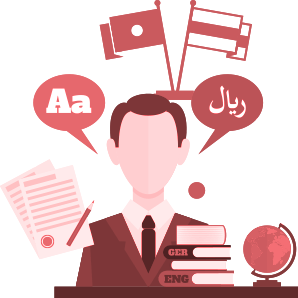 NAATI CCL Test determines a candidate’s ability to convey the meaning of a conversation from English language to LOTE (Language Other Than English) and vice versa. On passing CCL Test, a candidate is awarded five bonus points also known as Credentialed Community Language points, a criterion on point test for Australia immigration visa application. In the CCL Test, a testing officer plays a recording for the test taker to interpret and translate. This recording consists of two dialogues. Each dialogue represents a conversation between a native English Speaker and a native LOTE speaker. A candidate’s response is recorded for the marking procedure. Each dialogue is of approximately 300 words, nearly half in English and half in LOTE. The dialogue is again divided into different segments. Each segment is of maximum 35 words. The time allotted for the test is maximum 30 minutes. How is the CCL Test taken? In short, if the candidate chose Urdu as LOTE, what he/she requires to do is interpreting the dialogues spoken by each speaker and translating its meaning into another language i.e. English into Urdu and Urdu into English. These dialogues are designed with a view to examine a candidate’s ability to serve as a medium of communication between two persons who speak different languages.